Change continuously happens in life and New Zealand’s electricity distribution industry is no exception! Here are some of the latest changes regarding our power suppliers. In order to fund a $1.27 billion upgrade to its network, the Commerce Commission recently approved Powerco’s price increase application. Deeming the upgrade necessary to maintain a safe, secure and reliable network for customers, the Commerce Commission approved the price increase as of April 1. As part of the application approval, Powerco is required to report on its investment to both the commission and its consumers on a yearly basis. An additional $31 million was approved by the Commerce Commission to help improve the network’s resilience to major earthquakes. Last December, Wellington Electricity had submitted their urgent application which documented the need to strengthen its substations and purchase emergency equipment and critical spares. The investment is expected to cost the average Wellington Electricity consumer an addition $1.70 each month. In early March, electricity provider Aurora (which serves Dunedin, Central Otago and Queenstown) started an independent review of its electricity network to pursue a price increase. The electricity provider’s older network is in need of repairs, which the price increase (if approved) will help cover. The company has already notified the Commerce Commission of its desire to launch a customized price path (CPP) beginning in mid-2020. If approved, the distribution line charge on customers’ bills will be increased to fund future network investment. The actual price increase has yet to be decided. 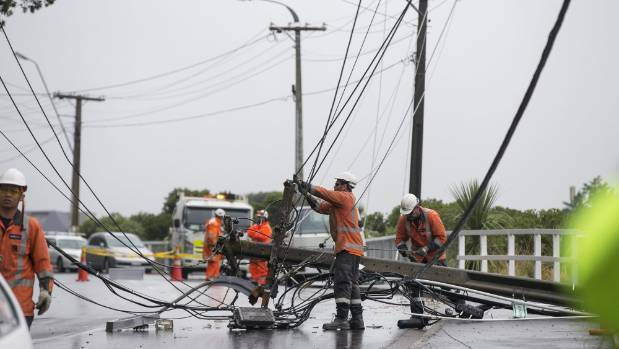 This past December, the company finished a $30 million fast-track pole programme, which saw 2800 of the network’s worst poles replaced. Over the upcoming decade, an investment of more than $700 million is planned by the company to improve its ageing network. Although any lines company can apply for a CPP (with most applications seeking line charges to fund network upgrades), the Commerce Commission closely analyzes applications. The end goal is that a balanced price-quality path for both companies and consumers can be achieved. Switchme Helps You Get the Best Rate! With the constant changes in New Zealand’s electricity industry, you need a trusted ally to help you get the best rate! That’s where a Switchme comparison comes in. As the country’s largest, non-government funded energy switching site, Switchme aims to simplify the energy switching process. By providing free, independent advice to New Zealand business and residential energy customers, Switchme gets customers the energy rates they deserve. Contact us today to learn more about how we can help you get the best energy rate currently available! When earthquakes happen in the Wellington region, thousands of Kiwis are affected. The only way to minimize an earthquake’s effects on this power grid? Make the electricity network stronger so that it can become earthquake-proof. When its rates were initially set in 2014, Wellington Electricity (WE) had no way of knowing the resilience expenditure that would be required. That’s why Wellington Electricity, which distributes power to approximately 166,000 homes and businesses in the Wellington region, formally applied to the Commerce Commission last December for a customized price-quality path. The Commerce Commission has initially approved WE’s recover cost proposal. When the earthquakes happened recently, WE had to bring in not only enhanced communication systems but also emergency hardware, switchboards and mobile substations. Plus, seismic reinforcement was necessary for the substations. To help recover the cost of these unexpected expenditures, WE has been given the go ahead to charge regional consumers an extra $1.90 to the consumer’s average bill of $160. This monthly increase will help recover the $31 million needed to earthquake-strengthen the capital’s electricity network. It’s expected that as long as the cost of energy and other components go unchanged, monthly bills will be reduced the following year due to the lower transmission charges from Transpower. The Commission views the extra expenditure as being costed appropriately and is confident that it will make the Wellington network better situated to withstand a major earthquake. WE will need to prove that it has made the resilience improvements and will be penalised for under-delivery. Are you a current Wellington Electricity customer that will soon experience a rate increase? Want to ensure no other energy company can offer you a cheaper rate? If so, let Switchme help! In only two steps using our free, online energy comparison calculator, you’ll be able to see right away how your energy rate stacks up against the competition’s rates. Paying more? Then we can easily help you switch your energy company and get you saving money right away! Contact us today for more details about how we can save you money on your energy bill. The price of your electricity bill may be about to grow. Contact Energy are altering their pricing in six regions around the country this winter - Christchurch, Taupo, Far North, Wellington, Central Otago and Northland regions. A company spokesman said customers would be paying an extra $5 to $12 per month. One resident in the Wellington suburb of Hataitai has had his daily charge rate increase from $2.138 per day, to $2.262 per day. The move was to account for a change in local network charges, which is the cost in which network companies charge to transport the electricity from the grid to homes, as well as a change in Contact's charges, the spokesman said. "We carefully consider our product pricing in each region, and for many customers this will be the first time Contact has adjusted the energy component of their bill, which we control, since 2012 or 2013." The local network charge accounts for about 40 per cent of the bill, he said. In an email to Wellington customers, Contact Energy head of customer service Bryan Middleton said the company had not made changes to energy and service components of the price. "Apart from reflecting the network changes, our prices are only adjusted to include an amount for the average prompt payment discount and ensure low user compliance." This latest price hike will hit just two months after 15 other regions - southern Hawke's Bay, central Hawke's Bay, Invercargill, Southland, North Otago, Otago, Dunedin, Nelson, West Coast, Buller, Bay of Plenty, Rotorua, Timaru, Wairarapa, and Eastland - also fell victim to an increase. Are you finding your power bills too high? Most power companies have had a price increase as of the 1st April 2016 and winter is now on its way too. If you have not checked you are on the cheapest power plan recently, now is the time to do it. Power companies tend to review their prices in April because that is when changes to lines charges are passed through to retailers. A number have put up their charges recently including Genesis Energy, Mercury Energy and part of the Contact Energy network. Some companies have offered customers the chance to lock in current prices, sometimes with a premium, to avoid the hikes. Carl Hansen, chief executive of the Electricity Authority, said customers should take the opportunity to check they are on the best plan for their households. "It's always a good time to check you are still on the best power deal for your circumstances, particularly as power use changes coming into winter. This is especially true if you haven't checked your options recently." He said most of the April changes for this year had taken effect. "But it's a dynamic market and many electricity retailers offer discounts on their standard prices. If you've had an increase, it's worth having a chat to your current retailer to see if they are able to sharpen the deal. If not, it's definitely worth checking to see whether switching could save you money." Use Switchme.co.nz to check out the different offers available to you.